The J-Head 12 HiFlow Has Been Released! * Introducing the world's first Thermal Barrier supported heat break system, allowing us to harness the best of both worlds: an impossibly thin All Metal heat break that stops heat creep in its tracks -- while maintaining unparalleled strength. * New Multi-Top™ mounting system allows for mounting with an adjustable sized mounting groove or clamp it to a pcb with 8mm or 12mm hole or thread it directly into a mounting hole. * Extending from the mounting groove, the new J-Head™ 12 HiFlow™ hotend with its vertical heater cartridge is still shorter than the competition - giving you more z height for your prints. * Extended melt zone to reduce the temperature required for extrusion. * Removed PEEK and PTFE materials from the hotend - The hotend is no longer temperature limited by PEEK. * Nozzles can be swapped at room temperature! * Leakless design - Internally, the filament path is seamless top to bottom, unlike other hotend designs that provide multiple routes for melted filament to evacuate the hotend rather than through the nozzle itself. * The design takes into account the thermal properties of the materials used to produce the best results. 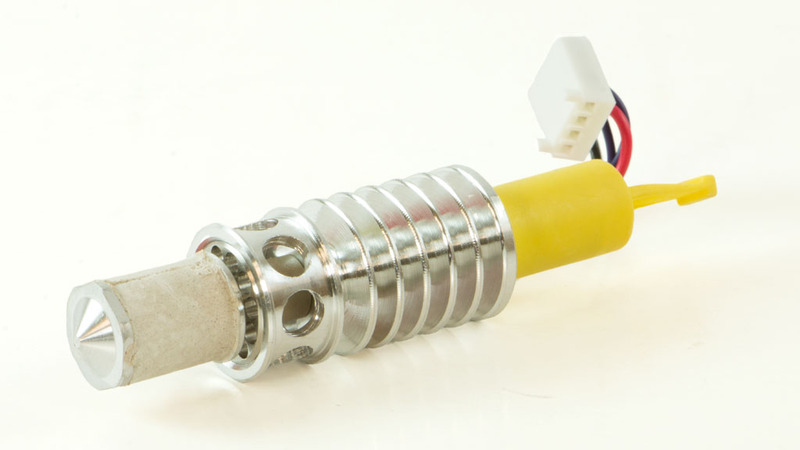 * All Metal Construction - NO PTFE liner - This reduces a point of failure that is part of other hotend designs. * Adjustable length for calibrating dual extrusion setups. * Supported heat break - other hotends hang the heater block from the heat break, requiring it to be thick/strong enough but heat breaks are meant to be thin to stop heat creep therein lies the conundrum. * Fully Assembled Genuine J Head™ 12 HiFlow™ Hot-End. Edited 3 time(s). Last edit at 12/24/2018 09:20PM by reifsnyderb. Re: The J-Head 12 HiFlow Has Been Released! What is the weight in grams of the new unit? It's pretty slim! Perfect for tool changing. The heatsink looks, like it would work with remote cooling. Just aim a stream of air to the bottom of the heatsink. Do you have plans for a watercooling jacket? I would love to see some thermal camera pictures of it! The bowden version, which is slightly heavier, weighs in at 37 grams. The heat sink is very efficient and, due to the ultra thin heat break, very little heat makes it up to the cooling fins. We are thinking about adding water cooling in the future. Will we get silicone socks for the heaterblock? I imagine a bit more parasitic heat transfer compared to 'other' hotends, because of the smaller gap between heaterblock and the alu-parts. Do you use common nozzles? Are they replaceable? I guess, I have to replace the whole heaterblock? If it will fit Duet3D's Smart Effector, I'd give it a try. We haven't seen a need for a silicone sock as the brass heater block used in the J-Head 12 HiFlow maintains a very stable temperature. While there is some parasitic heat transfer between the heater block it is controlled by the use of an insulator that supports the heater block. In addition, there is also a "blast shield" between the heat break and the top of the heater block to insulate the very top of the heater block from the air flowing through the core heat sink. The nozzles used are the common short m6x1 threaded nozzles that are compatible with e3d. When changing the nozzles, loosening the nozzle does not result in the heat block loosening up as well. I looked up the smart effector and I believe it will fit. EDIT: The J-Head 12 will fit the smart effector but will need an 8mm washer to go between the bowden top and the effector board. Edited 2 time(s). Last edit at 12/28/2018 10:29AM by reifsnyderb. So you said it can "thread it directly into a mounting hole" would it possibly work with the smart effector by duet? if so im sold. its got a lot of properties of the hotend i was designing. not perfect, ill still probably make my own. but id definitely like this design. The J-Head 12 will work with a 12mm mounting hole. With the J-Head 12 direct drive top, the top is flipped over to use a 12mm mounting hole. The J-Head 12 bowden top will usually need a washer. 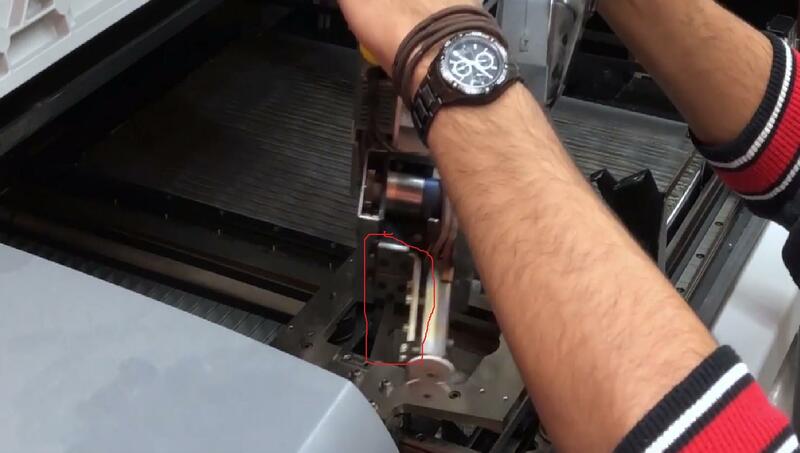 Looking at the effector, it looks like you'll also need an 8mm washer to go above the effector between the J-Head 12 bowden top and the effector itself. So I am sure it will fit. You'll also need a cooling fan. In the near future, a printable cooling fan mount will be available to clip on the side of the J-Head 12. Carriage (or effector) mounted cooling fan options will also work. One thing we've noticed with E3D hot ends is that some users have print cooling fans that blow air on the heater block as well as on the print, and some prints "reflect" the print cooling air on to the heater block. This can cause a sudden temperature drop when the cooling fan is turned on, which can trigger the thermal protection. A silicone sock shields the heater block from this cooling air and mitigates the problem. It doesnt have to be a silicone sock. if anything I think ceramic fiber cloth plus ptfe coated fiberglass tape is much cheaper long term and holds up better. it also provides more insulation and it an easy diy thing for anybody with an exacto. A big difference here is that the J-Head 12 uses brass as opposed to aluminum for a heater block. I've only noticed, at most, a couple of degrees difference between the layer fan being on and not being on. Brass is heavier, and denser, than aluminum and has better thermal properties for a heater block than aluminum. I don´t mean to sound mean, but. I think your "marketing" department has to backthrottle a little with the absolutist statements and exaggerations. First of all, you are NOT the first one to have a thermal barrier supported heat break system, not by a long shot. Stratasys has done it since the, oh i don´t know the MID 90´s. But then you might say. Oh but it hasn´t been done by a non industrial company yet. Here you go, i3dinnovation has done exactly that before. So please come off your high horse and stop these ridiculous claims. Also, since you list the competitor hotend´s heatbreak cross-sectional area as 3.02mm (Wrongly, again, as it should be mm². At least get your units right) i suppose you are talking about the e3d v6 system. I think it is hilarious that you list "Made in USA" as an advantage, and in the same line you say that E3D stuff is made in Britain is a disadvantage. E3D has a clamp stype mounting available, that screws in with a M12 Nut! A system just like yours! Just because it´s not called Multi-Top™. By the way, the 3mm E3D ALSO does not use a PTFE liner. And by the way, the V6 also has a cartridge-style thermistor which is securely mounted in the heat block. Next, you boast about : Removed PEEK and PTFE materials from the hotend - The hotend is no longer temperature limited by PEEK Which suggest you can print at any Temperature. BUT NO, in a small sentence you say: Please note: The maximum operating temperature is 285°C due to the insulator materials used. Sounds a lot like you just used a different insulator. And No, you cannot even print Polycarbonate at that temperature, while your Competition´s V6 can print PEEK and the like with no problem. Also, this is nit-picking, but you mentioned an impossibly thin heat break (0,011"). You really can´t say that since you made one, which means it is possible. And even then, you aren´t even the only one. Just FYI, the Stratasys Heatbreaks are 0.007". Which is also made possible because of the supported heat break. Please don´t ridicule your product by badly comparing it to competitors and listing horribly researched facts. I would appreciate if you would edit your ridiculous claims and re-present your product. I am not affiliated with E3D nor do i even have a hotend from them. I just want to spread a little truth and fairness. Unfair, untruthful presentation and bad-mouthing other companies really nags me. Edited 2 time(s). Last edit at 12/28/2018 05:23PM by NitroFreak. Thank you for correcting our cross sectional area measurements. It is an area and should have been listed in mm squared. We have fixed this on the site. I was going to research your other complaints but stopped as many of your comparisons are unrelated. For example, the "Cube Pro" hot-end information specifically states it is "Not for use with ABS, PLA or Nylon material." The J-Head 12 is for those materials. I do not know where you got the information that the CubePro hotend is not for PLA,ABS or Nylon. According to this official datasheet from 3D Systems, the CubePro is specifically designed to print PLA,ABS and Nylon. Even if it were not for those materials, it does not change the fact that they (and stratasys) were the first to have a supported heatbreak. So feel free to research my other complaints. Sorry but all of these hotends are too tall ! The way to hold them is bulky too. OK, they want to remain standard with the current 16, 12 mm, NPT system. 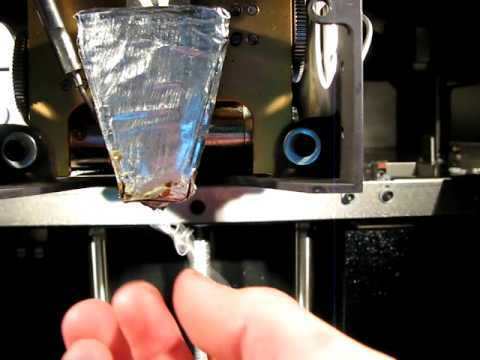 No need for it if you integrate the hot end with a direct extruder. Anyway, because of that, I made my own, all metal too,using a horizontal heatsink, 1cm thick 5cmX2.5cm is enough, from hobbed gear to cold/hot transition zone, 22mm. What you found was their Advanced Flex extruder. While it is true that this hotend is only for flex, they also sell their OEM standard hotend that looks the same as the flex, for PLA, ABS and Nylon. which uses the same „thermal barrier supported heat break“. But that is not the point, my point is you are not the first and therefore not have the right to claim that you have the „world‘s first thermal barrier supported heat break“. So please remove that claim from your description. It suggests a level of innovation, which is not only non existant, but also misleading.